Business Feature | YACHI TEXTILE MANUFACTURING CO.,LTD. Our ribbons are made with our original fabrics that have been specially developed for ribbons. Utilizing ultrasonic technology and laser technology, we are producing superior original ribbons. Customers have been giving us great comments of satisfaction for our good inventory and prompt delivery. 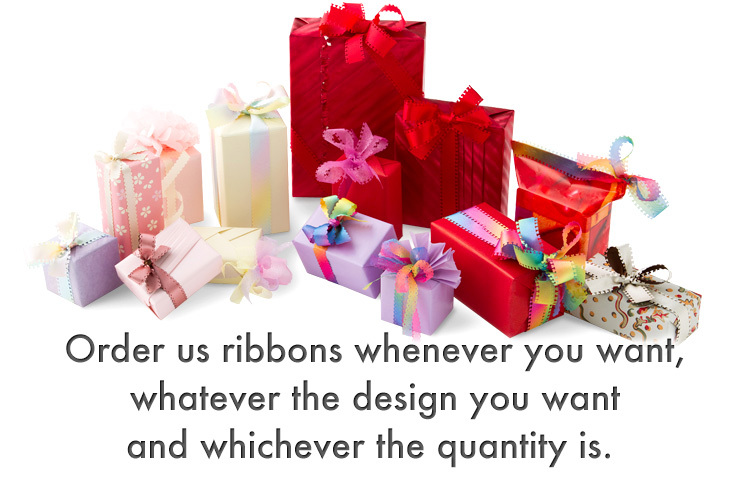 We are happy to satisfy your needs from small to large order of narrow to wide ribbons. We are happy to supply all designs of ribbons such as rolled, cut, printed, processed. You can rely on our products due to our high skilled production system and thorough quality control.